Gresham's neighborhood planning highlights the pride in local communities that is evident in Oregon's fourth largest city. Gresham's regional center is the Gresham Civic Neighborhood. The structure of this community emphasizes livability, with bike paths, landscaped sidewalks, and many different kinds of housing, all with easy access to the local area and adjacent neighborhoods. There are two MAX light rail stations in this area, providing rapid transit to all of the amenities of Portland. Neighborhood parks in Gresham have facilities for many different activities. Red Sunset Park, located at 2403 NE Red Sunset Drive, has soccer and softball ields, a basketball court, picnic shelters, a children's play area, and a one acre duck pond. Main City Park is located next to downtown Gresham at 219 S Main Avenue. The17.5 acre park includes a children's play area, picnic tables, two little league baseball diamonds, and many bike and walking trails. Several of the trails follow Johnson Creek, which runs along the south edge of the park. There are many other parks available for recreational opportunities in the Gresham area. The Mt. 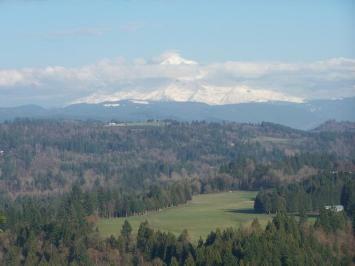 Hood Scenic Loop can be accessed from the Gresham area. The three hour round trip allows you to see some of Oregon's best scenery. Or, try some of the many different types of recreation in this area, including fishing, mountain climbing from Timberline Lodge, hiking some of the numerous trails in the Columbia Gorge, windsurfing at Hood River and much more! Known as "The city of Music," Gresham is located in the Pacific Northwest between Mt. Hood and the Columbia River Gorge, 10 miles east of Portland. Currently celebrating its 100th year, the community will host events year-round in honor of this long-standing community. 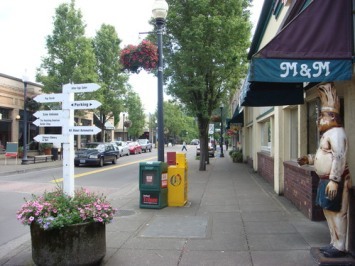 Gresham is also the fourth largest city in Oregon and is the host of the Mt. Hood Jazz Festival, just one of the many music festivals held in the city. Gresham is the ultimate place to enjoy fine dining, a variety of outdoor sports and recreation, quiet neighborhoods, a low crime rate, excellent schools and a range of great music. An abundance of hiking and biking trails and spacious parks are scattered throughout the city as well as championship golf courses. The city offers world-class shopping including specialty shops, boutiques and national factory stores. Getting around the city is simple with a network of state and local roads crisscrossing the area. The award-winning Metropolitan Area Express (MAX) light rail line begins in the heart of Gresham and connects to Portland and Hillsboro. The international airport is only a fifteen-minute drive away. 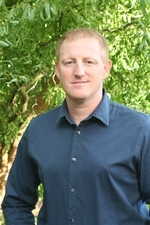 Real estate options consist of single-family homes, condominiums, and townhouses. An estimated 81,000 residents call Gresham home. Gresham uses the 97030 and 97080 zipcode. 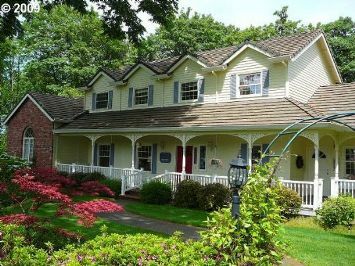 Click here to see the homes for sale in Gresham, Oregon.